Disclosure: This is a sponsored post on behalf of Vitamix and The Feedfeed. All opinions are my own. Perhaps I’m part of the minority when I say that I love beets. Allow me to expound on this admiration for this diamond in the rough vegetable. When peeled and cut, the beet becomes a work of art with its bright colors (and, yes, stain-creating juices—wear an apron!). It is a beautiful vegetable that is a gift to those who can see beyond its brownish gray rough exterior. What’s even better about the beet is its unique taste and the nutritional value can’t be, well…”beet.” They are rich in fiber, B vitamins, iron, magnesium and potassium—just to name a few. The greens of this veg are also edible and nutritional. What a way to truly eat your vegetables when you can eat basically the whole thing. I’ve had plenty of vegetable conversations and when the beet comes up there are a lot of hot opinions about this little vegetable. Many think they don’t like beets, but once the topic is delved into I realize their experience with the beet has been limited to a canned variety or a poorly prepared dish. 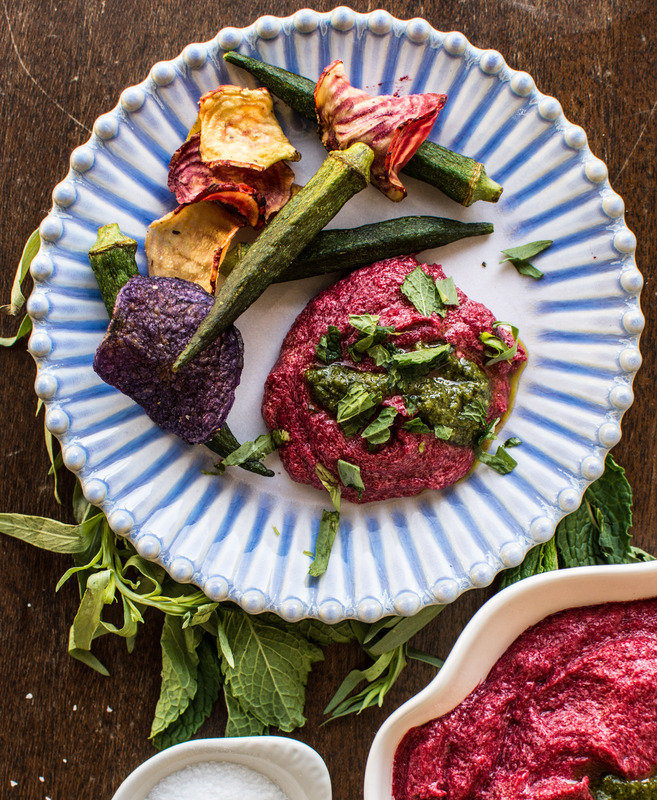 If you find yourself in the group mentioned above (that thinks you don’t like beets but aren’t 100% sure that you’ve eaten a well-prepared beet) let me give you a gateway recipe into loving this friendly vegetable. 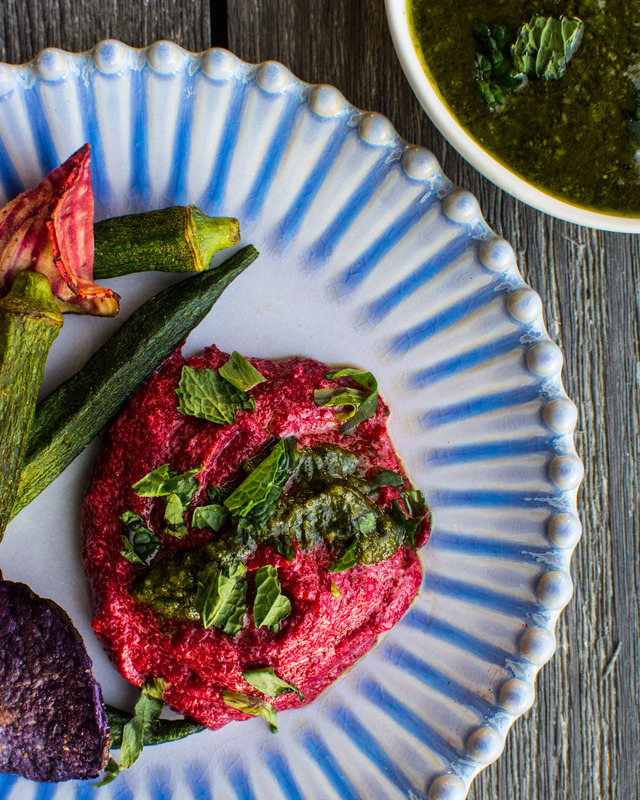 Beet Crème Fraîche Dip topped with Beet Green Tarragon Pesto This recipe combines the sweetness of beets, the loudness of fresh tarragon and the richness of crème fraîche. 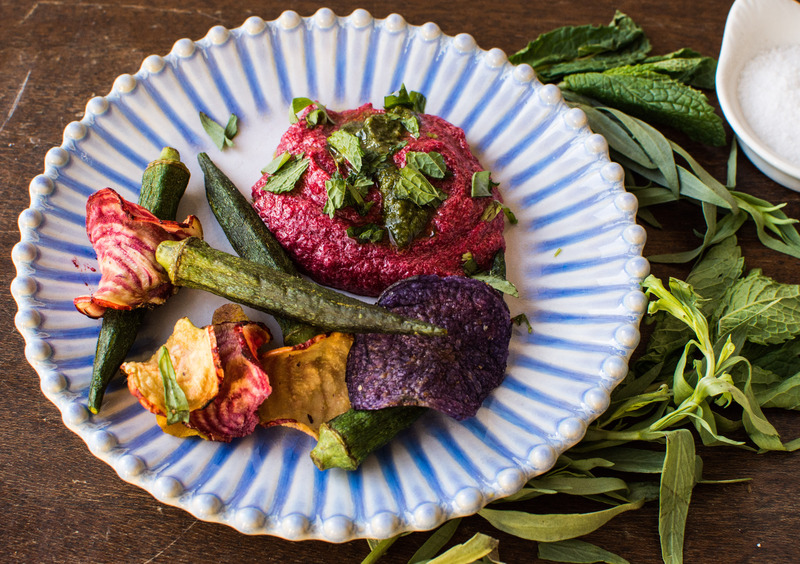 The pesto takes the leftovers of this main recipe and utilizes the greens from the beets and any remaining tarragon to create an earthy salty balance to the dip. Added bonus – this recipe can be made in advance for snacking all week long! While this recipe can be made in a food processor I find that it is made vastly better in a Vitamix Venturist. 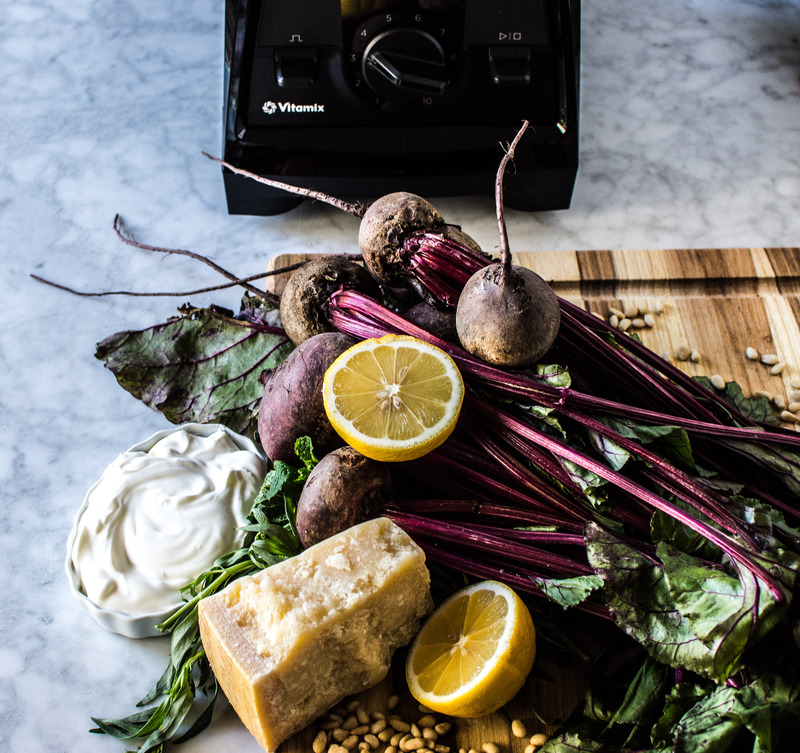 The precision of this kitchen appliance purées the roasted beets, shallots, tarragon into a smooth, silky dip. 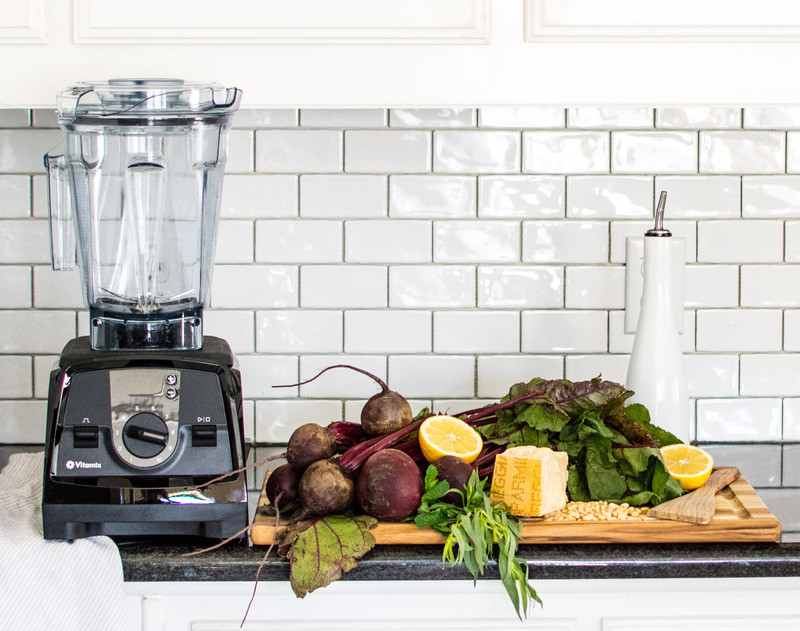 The Vitamix purees the vegetables exquisitely and with the multiple speed settings it also whips the crème fraîche into a light and airy state – and the built in timer lets you know just how long to blend for. These two elements of silky smooth roasted beets and whipped crème fraîche come together perfectly. 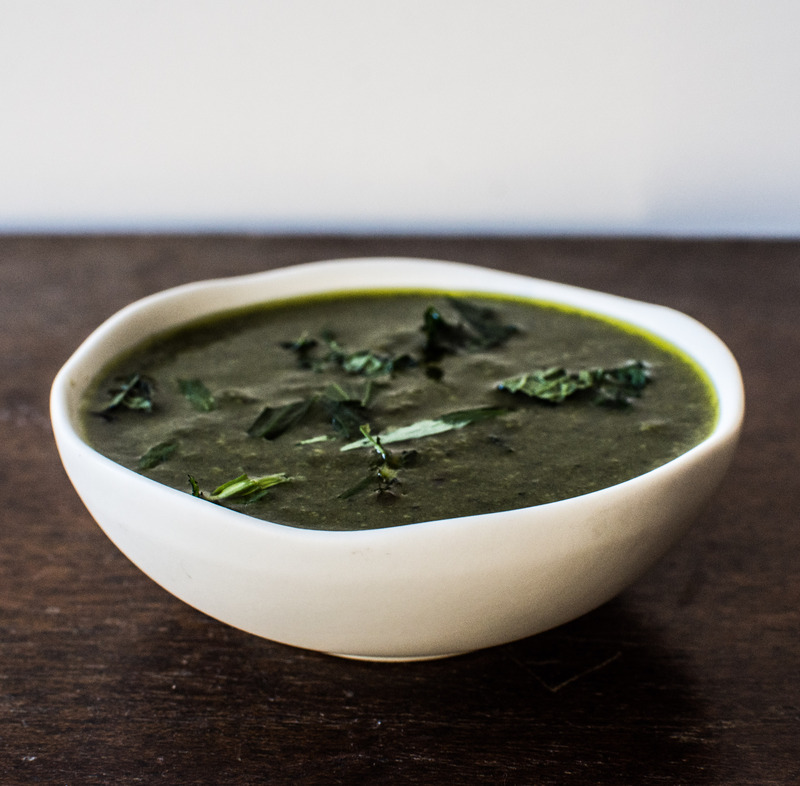 I had never cooked with a Vitamix until this recipe. 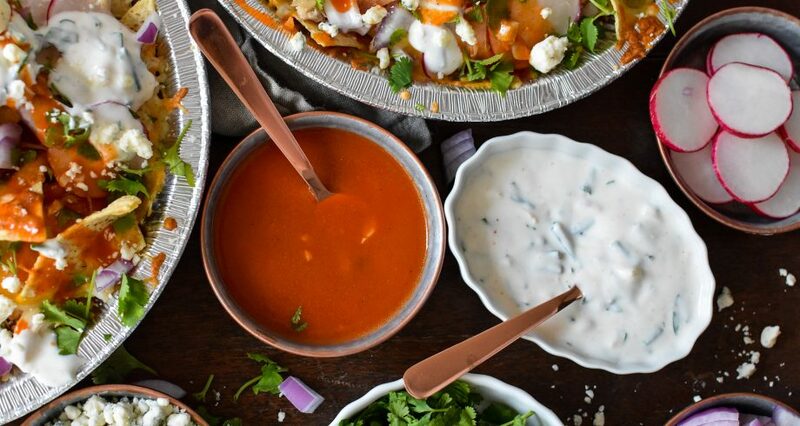 However, I have had several friends cook for me using their Vitamix in the form of frozen margaritas, warm soups and addictive dips. With every dish that I have enjoyed that has been assisted by this appliance the same thought has crossed my mind… One day, I will have a Vitamix and make everything under the sun with it. Well, my friends, that time has arrived. For years I have hesitated. I love my food processor and didn’t want to give it up. But deep down inside I knew there was a kitchen appliance that was missing from A Pleasant Little Kitchen. When I saw the Vitamix Venturist and read up on its bells and whistles there was no question. 2018 was the year I was going to get that Vitamix. The Beet Tarragon Creme Fraîche confirmed my decision to welcome the Vitamix into my kitchen rhythm. It’s a machine that is well made, smart, easy to handle (and clean) and most importantly, does its job better than any other blending tool I’ve ever used. 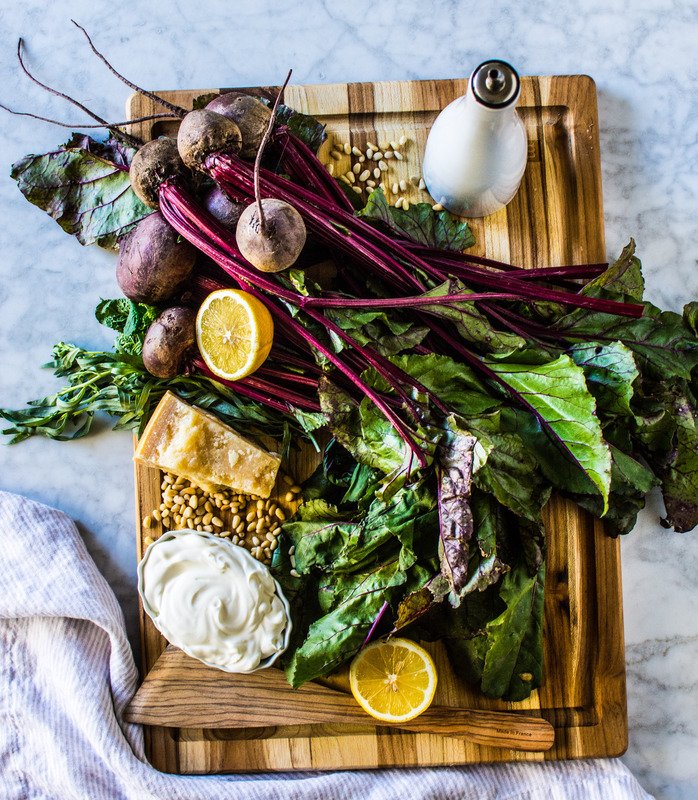 Let this recipe convince you that 1) beets are good and tasty to eat 2) you need to eat more beets AND 3) the Vitamix is a kitchen appliance that needs to be in your kitchen. For now, I’m going to nibble on this dip while I enjoy my new kitchen appliance and make my next recipe… a frozen margarita. Peel the beets and cut into 1 1/2 inch cubes. Place the beets and shallots into a medium-sized bowl. Evenly distribute 2 tablespoons olive oil and 1 teaspoon salt on top of the vegetables. Stir well to coat. Place the beets and shallots onto a rimmed baking sheet and roast for 35 to 45 minutes, or until softened. Stir the vegetables once or twice during the roasting process. 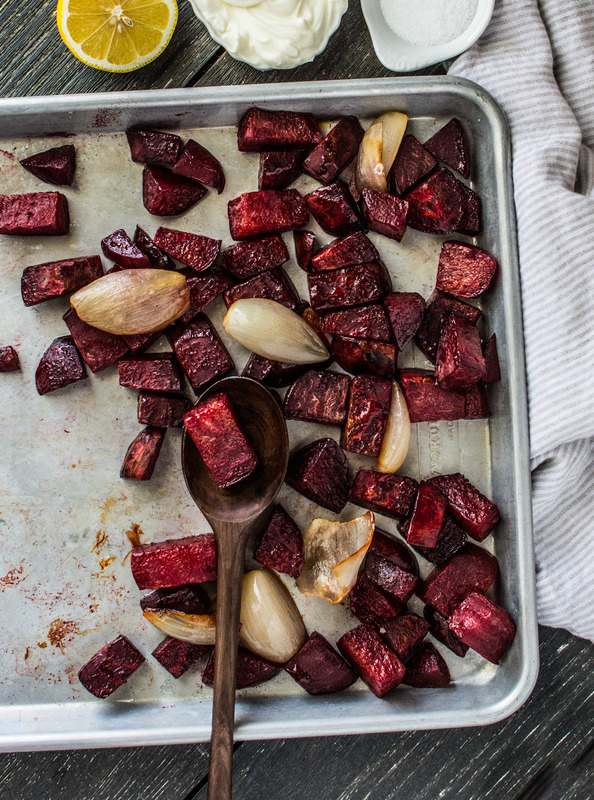 Remove the beets from the oven and bring to room temperature. Add the ingredients into the Vitamix container in the following order: 3 tablespoons extra-virgin olive oil, lemon juice, lemon zest, vinegar, crème fraîche, beets, shallots, tarragon, 1 1/4 teaspoons salt. Secure the lid and set the speed to Variable 1 and then start the machine. Slowly increase to its highest speed. Blend for 50-60 seconds until smooth. 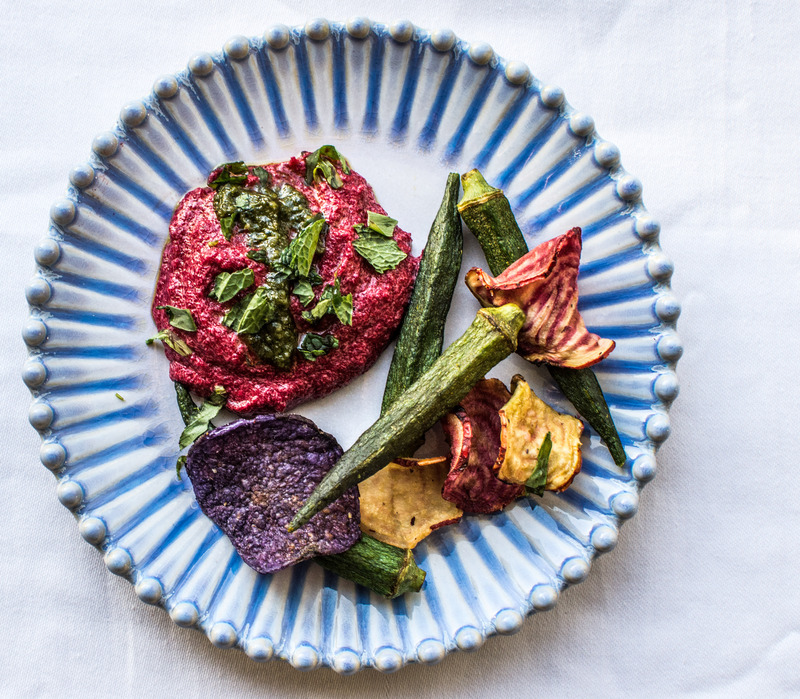 Serve the beat crème fraîche dip with beet green pesto (see recipe below) on the side or on top of the beet crème fraiche with favorite vegetable chips. Add the ingredients into the Vitamix container in the following order: olive oil, lemon juice, cheese, garlic, mint, tarragon, beet leaves, nuts and salt. Secure the lid and set the speed to Variable 1 and then start the machine. Slowly increase to its highest speed. Blend for 40 seconds until smooth. This entry was tagged beet dip creme fraiche, beet green pesto, beet green pesto recipe, dallas food blog, dallas food blogger, easy beet recipe, good beet recipe, texas food blog, texas food blogger, Vitamix beet creme fraiche dip recipe, Vitamix beet dip recipe, Vitamix beet green pesto recipe, Vitamix creme fraiche recipe. Bookmark the permalink.